I was out recruiting today and during my lunch break I opened up the iBooks app on my iPhone. 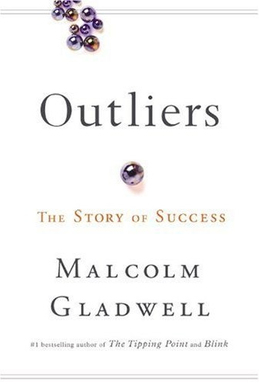 Scanning through the titles I had in there, I decided to restart Outliers by Malcolm Gladwell. In Chapter 2 the story of elite musicians is told. How are these musicians so great? How did they become the outlier from all the other average musicians? The answer in short, is practice. They just worked harder and longer and smarter than the other violin or piano players did. The full answer is a lot longer. In the previous chapter Gladwell tells us about an advantage that was discovered in youth sports based on birthdates and eligibility cutoffs, but for our purposes, all we need is the short answer. The short answer and the segment of the chapter that I’ve linked above is what I sent out to the guys on the team at Bard. I asked them to evaluate what they were doing this summer. 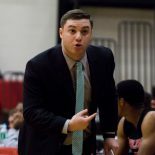 As Division III coaches, we cannot be hands on like you can at the Division I level. Guidelines and plans are put into place, workouts prepared, motivations offered, but at the end of the day the player has to decide if they want to wake up and go to the gym or spend that hour lying in bed playing Xbox. The psychologists that Gladwell writes about, K. Anders Ericsson and partners, found that the great musicians (and basketball players) became great over 10,000 hours of practice. That takes around 10 years to accomplish. So when the violinists at age 5 were all practicing an equal amount, there was no way to tell who the standouts were. But as time passed, three years later it started to become clear to them. A group of the students were starting to focus more and practice more and were clearly the standouts. They were the ones who were going to get to the 10,000 hours, while everyone else, the average ones, would be at 4,000 or 5,000. The psychologists were unable to find an example of any “elite” musician who got there on talent alone and were also unable to find any “average” musician who worked the requisite hours and just never achieved. All of the basketball players that play in college at any level have put in more work than the average player. They have separated themselves from a young age and put in more hours than the average pick up player that will never put on an official uniform. But now that everyone is essentially even again, at least within your division, conference, team, etc., how do you separate yourself? That’s what greatness boils down to. So replace the term “musician” with “athlete” or “basketball player.” Are you working hard enough to distinguish yourself? This entry was posted on May 30, 2015 by Coach Sass in Coaching, Miscellaneous.